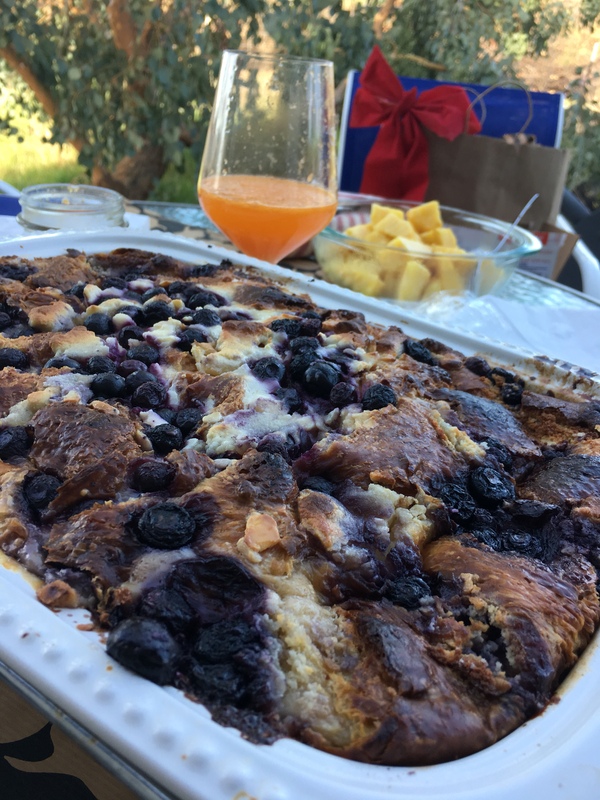 Want to make something for brunch or breakfast that will be a major crowd pleaser? Want it to be super easy and low stress too? 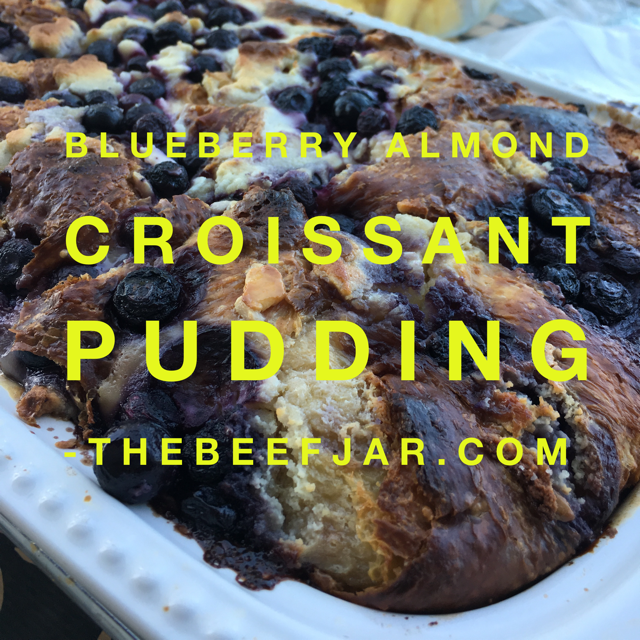 Well I give you Blueberry Almond Croissant Pudding. This has been a winner every time I have served it. I made it for Mother’s Day for my Mom. I made it for Cal Fire (I love them so much) when they were saving the Ranch during the Cherokee Fire I made it for a Ranch Day. Each time, it was met with rave reviews and recipe requests. The almond paste gives it a very subtle nutty flavor that is divine! You can omit the almond paste, but I think it’s what make this dish so good. 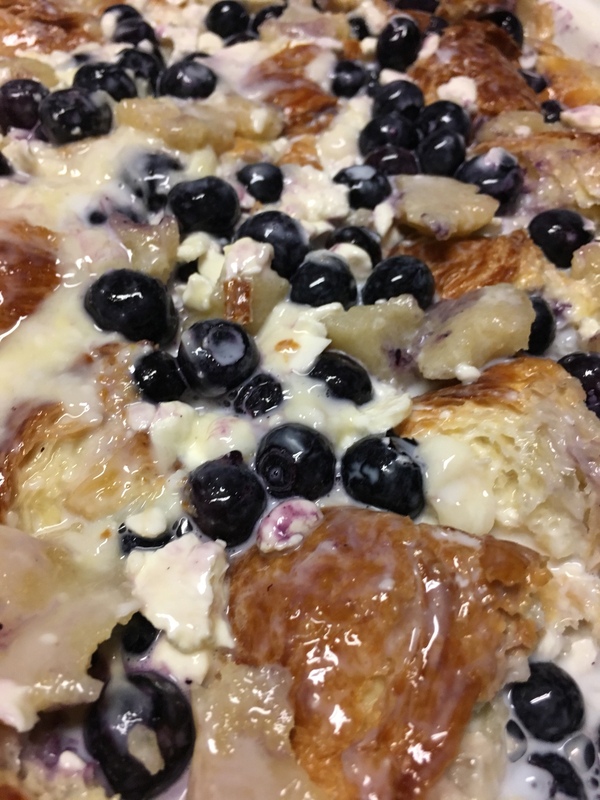 Layer croissant pieces, blueberries, and small chunks of the almond paste in a 9×13 baking pan. 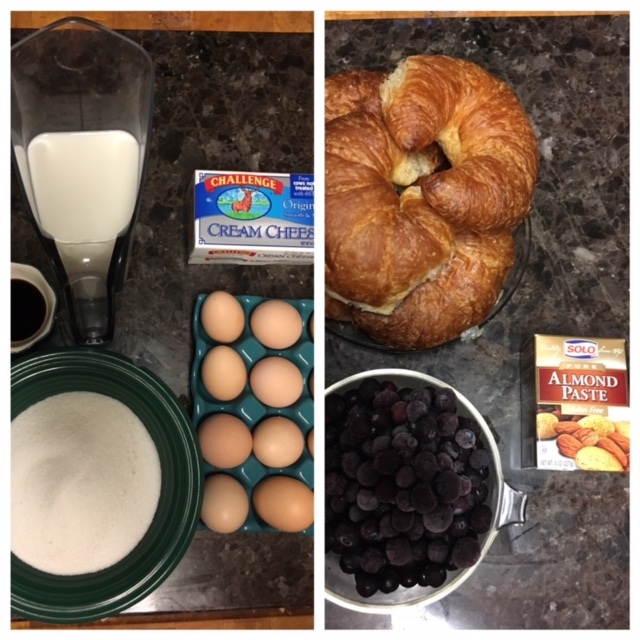 Meanwhile, beat cream cheese, sugar, eggs and vanilla in your stand mixture until well blended. Slowly incorporate the milk. Pour the mixture over croissant pieces. Put in your refrigerator overnight. I love watching the bread soak up the liquid goodness. Bake at 350°F for 50 to 60 minutes or until set in center and golden brown and a knife comes out of the center clean. The Most Delicious Banana Bread Recipe Ever!